During the process of controlled ovarian hyperstimulation (COH) for in vitro fertilization (IVF) treatment, an elevated serum progesterone (P) level prior to oocyte retrieval may result from the multi-follicular development which is an inherent step prior to oocyte retrieval for IVF. This phenomenon may occur in up to 38% of COH cycles, despite the use of gonadotropin releasing hormone (GnRH) analogues [1, 2, 3]. Such an early rise in P level is associated with an advancement of the endometrial microarchitecture and the potential for embryonic-endometrial asynchrony [4, 5]. 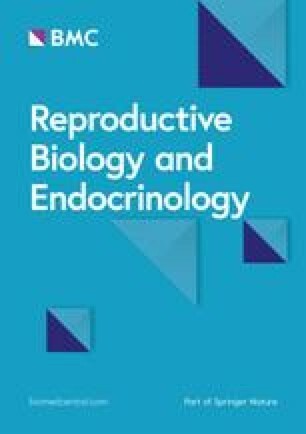 Although controversy exists as to whether or not an elevated serum P level on the day of exogenous follicle triggering has an effect on IVF outcomes , many studies, as well as systematic reviews and meta-analyses, have suggested that elevated P (≥ 1.5 ng/mL) is associated with lower pregnancy rates [7, 8] among women who undergo COH for IVF, and that a freeze-only of embryos is recommended in that cycle, in order to optimize outcomes by synchronizing the embryo and endometrium in a subsequent, more natural cycle . Antimüllerian Hormone (AMH) is a member of the transforming growth factor (TGF)-β superfamily of glycoproteins and a widely-used serum biomarker to assess ovarian reserve in women undergoing COH for IVF. AMH is produced by ovarian granulosa cells which surround the primordial to pre-antral ovarian follicles in which oocytes are located . AMH has been shown to be predictive of oocyte yield at retrieval as well as other IVF outcomes [10, 11, 12, 13], and this biomarker has been used to optimize COH protocols that employ exogenous gonadotropins for IVF treatment cycles . AMH has been shown to be a strong predictor of ovarian response to exogenous gonadotropins during COH for IVF as well as outcomes such as oocyte yield , blastocyst formation , blastocyst aneuploidy , and surplus embryo cryopreservation at the various stages [21, 22, 23, 24, 25, 26]. There are conflicting data regarding the ability of AMH to predict clinical pregnancy rates and live birth rates [27, 28, 29, 30, 31].